The image illustrates the detailed modelling of a small piece of the surface of an old metal-poor star used to derive its abundance of lithium-6. Credit: Karin Lind, Davide De Martin. Using Keck observations of ancient stars and models of their atmospheres, researchers have shown that there is no conflict between their lithium-6 and lithium-7 content and predictions of the standard theory of Big Bang nucleosynthesis. Kamuela, Hawaii – An international team of scientists using the most powerful telescope on Earth has discovered the moments just after the Big Bang happened more like the theory predicts, eliminating a significant discrepancy that troubled physicists for two decades. The discovery will be published in the international journal Astronomy & Astrophysics on June 6. One of the most important problems in physics and astronomy was the inconsistency between the lithium isotopes previously observed in the oldest stars in our galaxy, which suggested levels about two hundred times more Li-6 and about three to five time less Li-7 than Big Bang nucleosynthesis predicts. This serious problem in our understanding of the early Universe has invoked exotic physics and fruitless searches for pre-galactic production sources to reconcile the differences. The team, led by Karin Lind of the University of Cambridge, has proven the decades-old inventory relied on lower quality observational data with analysis using several simplifications that resulted in spurious detections of lithium isotopes. Using observations of ancient stars with W. M. Keck Observatory’s 10-meter telescope and state-of-the-art models of their atmospheres has shown that there is no conflict between their lithium-6 and lithium-7 content and predictions of the standard theory of Big Bang nucleosynthesis, restoring thus the order in our theory of the early universe. The discovery that the universe was expanding by Edwin Hubble in the 1920s and subsequent observations suggest the universe began about 13.8 billion years ago in an event called the Big Bang. The fundamental observations that corroborate the Big Bang are the cosmic microwave radiation and the chemical abundances of the light elements described in the Big Bang nucleosynthesis theory. 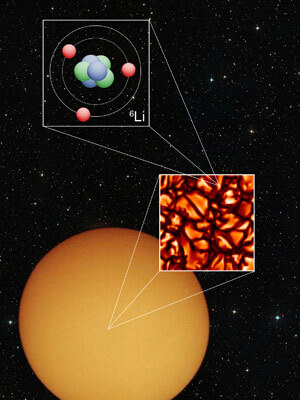 Taking accurate measurements of lithium-6 and lithium-7 in old stars is extremely challenging, both from a theoretical and observational perspective, in particular for lithium-6, because being the less abundant isotope of lithium, its signature is very weak. The required data can only be obtained with the largest telescopes on Earth such as the Keck Observatory on the summit of Mauna Kea, Hawaii equipped with the powerful High Resolution Echelle Spectrometer (HIRES) spectrograph to disperse the stellar light into its constituent colors and absorption features. Even with the mighty Keck I telescope, a single star must be observed for several hours to gather enough photons for a detailed observation. 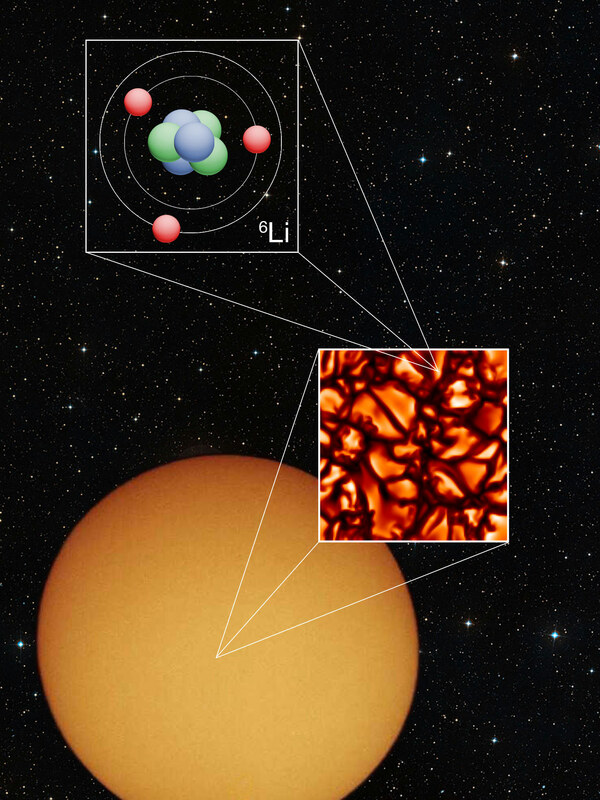 The modeling of such data is also very demanding, as different processes in the atmospheres of such metal-deficient old stars may mimic the presence of lithium-6. The data must be analyzed using sophisticated model atmospheres created by the team in 3D and included complex calculations that run for weeks on powerful super computers. The synergy of high quality Keck observations and detailed theoretical modeling has solved cosmological problems that haunted particle physicists and astrophysicists during the last two decades. The Big Bang theory now rests on more firm footing. 1 Comment on "Keck Observatory Observations Strengthen Big Bang Theory"
the concept still relies on the precept that our universe was created via a, ‘Singularity from, nothing’/ ‘Infinite Density’ and a number of other features of the current dogma that are reliant on, ‘UNSCIENTIFIC NONSENSE’.